Three live pit bulls and dogfighting paraphernalia also found; DA Rice calling for reform of animal cruelty and fighting laws. Mineola, NY - March 3, 2014 - Nassau County District Attorney Kathleen Rice announced that a Freeport man was arrested yesterday and arraigned on felony and misdemeanor animal fighting charges today after a residential garage fire Friday night revealed 13 dead pit bulls and paraphernalia used for the breeding and training of the dogs for fighting. Three more pit bulls were found alive at the scene. 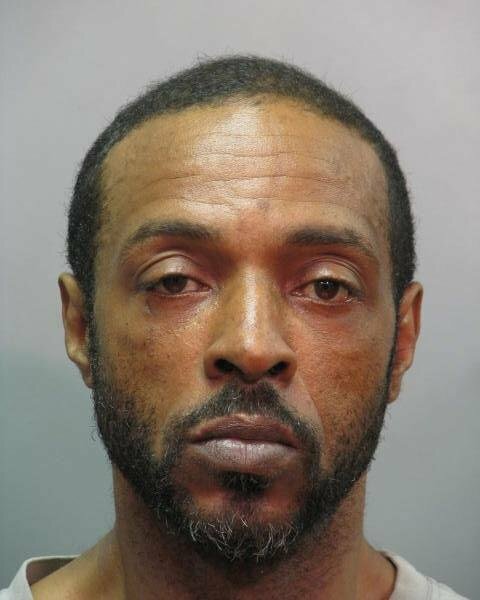 Anthony Reddick, 53, was charged with one count of felony animal fighting for breeding the dogs, one count of felony animal fighting for training the dogs, and 16 additional counts of misdemeanor animal fighting charges – one for each dog found. He pleaded not guilty before Nassau District Court Judge Tricia Ferrell, who set bail at $20,000. Reddick faces a maximum sentence of 1-1/3 to 4 years in prison on the top charge and is due back in Part 9L of Nassau District Court, in Mineola, on March 5. DA Rice said that Freeport Village fire and police officials found the dead dogs and dogfighting paraphernalia – as well as two live dogs – when responding to a garage fire at 101 Hillside Avenue in Freeport on Friday night. Reddick, the tenant of that multi-tenant home believed to be the owner of the dogs, left the scene soon after the arrival of authorities. Also found at the home were a machete and wall posters depicting pit bulls with scarring on the face consistent with dogfighting. DA Squad detectives tracked down and arrested Reddick in Hempstead yesterday. The deceased dogs ranged in age from about two and a half months to five years old. Most had third-degree burns and all were burned to death in the fire. The three surviving dogs are being cared for by authorities. Since April 2012, DA Rice has advocated for the passage of bills in the State Senate and Assembly (S6643/S775b) to increase penalties on crimes like animal cruelty and dogfighting by moving them to the Penal Law section of the state criminal code. These charges, and other laws designed to protect animals, are currently listed under the Agriculture & Markets Law section as unclassified felonies and misdemeanors. This proposed reclassification would make crimes against animals more accessible to law enforcement officers, simplify and modernize language, toughen existing statutes, create new charges, and increase the maximum prison sentence for severe cases of animal cruelty and animal fighting. Last year, DA Rice started a Countywide ‘Council on Animal Protection & Safety’ in order to provide a forum for local government and non-profit agencies in NassauCounty to coordinate efforts on cases like this one. The public should always call 911 in cases of active emergencies or imminent danger. The head of DA Rice’s Animal Crimes Unit, Jed Painter, is prosecuting the case. The defendant was represented by the Legal Aid Society at arraignment. Subject: LongIsland.com - Your Name sent you Article details of "DA Rice Announces Arrest of Freeport Man on Animal Fighting Charges After Garage Fire Reveals 13 Dead Pit Bulls"